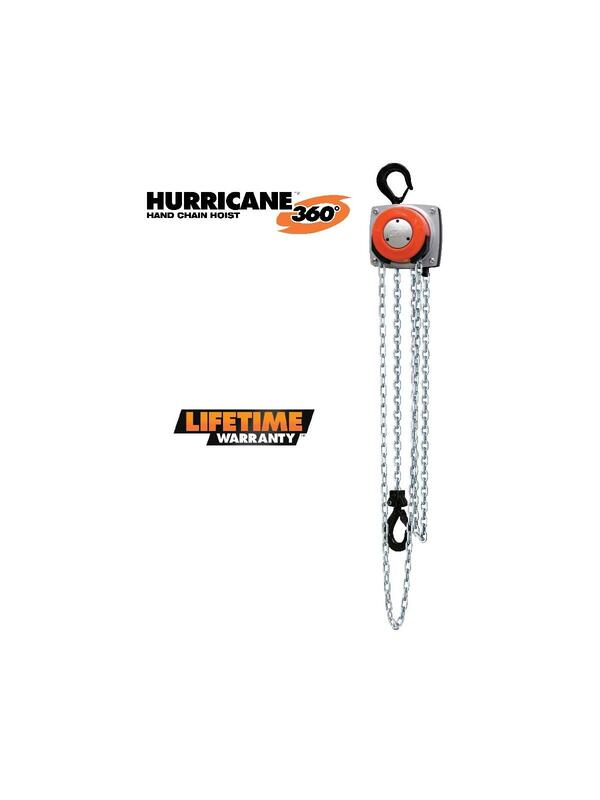 Rotating hand chain cover allows the chain to rotate a full 360 degrees for safe & efficient operation from any direction. Weston-style braking system provides positive load control. Standard load limiter provides simple, automatic overload protection to prevent injuries. 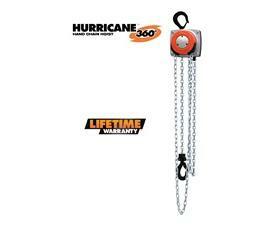 Rugged and durable for long life. To maintain safe distance from load or hazards. The Hurricane's patented chain cover rotates a full 360 degrees, allowing loads to be lifted, positioned or pulled from virtually any angle - even in confined spaces. FOB Shipping Point.